Note: This article was first published on 24th November 2016. The MacBook Pro is a modern computing institution. Introduced in 2006, it has been updated continuously over the years, all with the aim of meeting the needs of professionals who depend on it to get work done. Few notebook brands can claim to have a model that stretches back so far. In these 10 years, I have had three MacBook Pro notebooks. My first was an early 2008 15-inch model. It was the last of the first generation of MacBook Pro notebooks. Later that year, they would announce the new unibody models. My second MacBook Pro was also a 15-incher, specifically the late 2011 model, which was considered the second generation MacBook Pro and was one of the last models before Apple introduced the ones with Retina display. Much to my misfortune, it was also the one that was plagued by display and graphics issues. 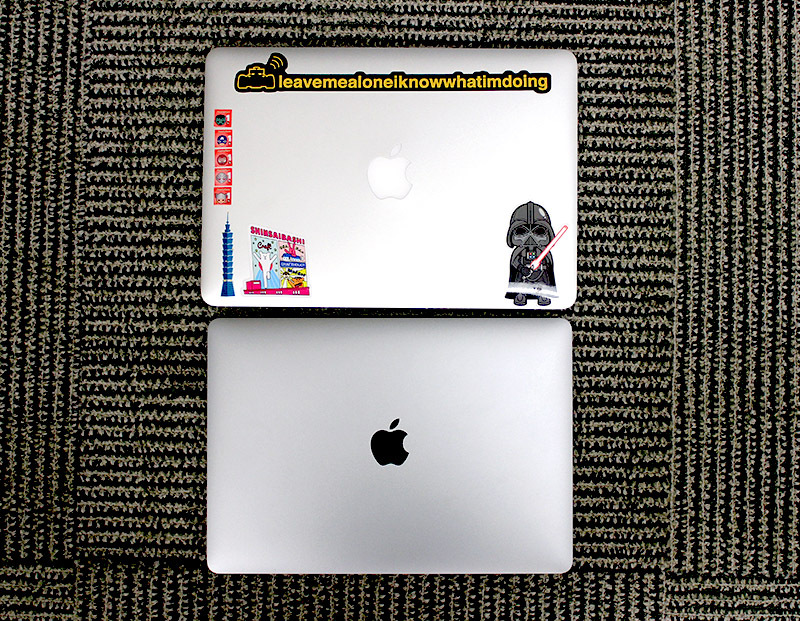 Last year, I took a leap of faith by switching to the smaller 13-inch MacBook Pro with Retina display. One year later, I can say that it was the right choice, as it was a lot more portable. But I made the mistake of not upgrading to 16GB of memory when ordering mine, and so I was looking forward to this year’s update eagerly. In total, I have been a MacBook Pro user for the past 8 years. I use it at home, at the office, and when I’m on the road covering events like CES and Computex. I use it for work and for play. It is my primary computing device. And I have to say, I’m a fan of the MacBook Pro. For the most part of the 8 years, the MacBook Pro has provided me with everything I need. I really like last year’s model. It has a great display, a great keyboard, a wonderful touchpad, good connectivity, enough ports, and an SD card reader. I remember my first MacBook Pro, the early 2008 model, didn’t have an SD card reader. And it was a pain to have to use an external SD card reader. So how do I feel about the latest MacBook Pro with Touch Bar notebooks from Apple? Frustrating would be a good one-word descriptor. But let me detail what’s new about the latest MacBook Pro with Touch Bar, the actual usage experience and performance before I conclude for all the readers. **Note: For the sake of brevity, from this point on I’m going to refer the MacBook Pro with Touch Bar simply as the new MacBook Pro. FYI, there is also a new MacBook Pro without the Touch Bar, but has traditional function keys, which is not reviewed in this article. 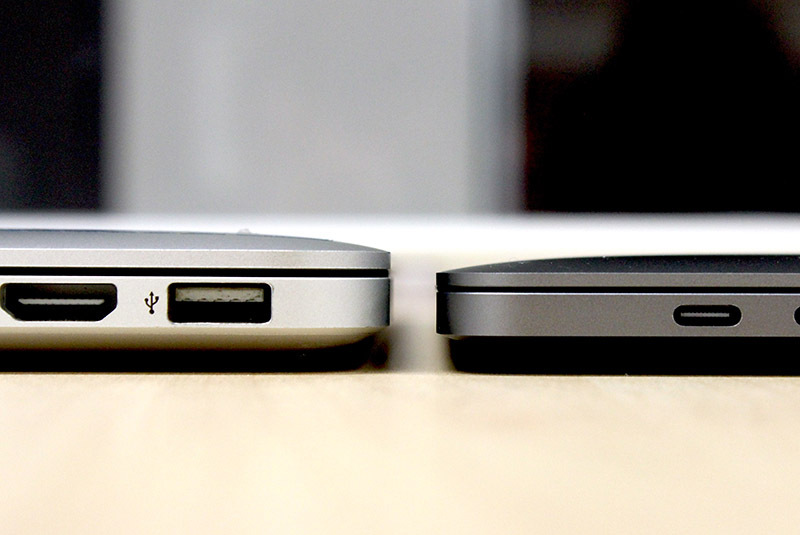 The design of the new MacBook Pro notebooks are familiar and mostly the same. They still have a unibody aluminum construction; and they still feel solidly built, as if they were solid slabs of metal. But they are also thinner and lighter. There's also a new space grey finish, which looks fantastic, in my opinion. Sadly, the Apple logo on the display cover no longer lights up. 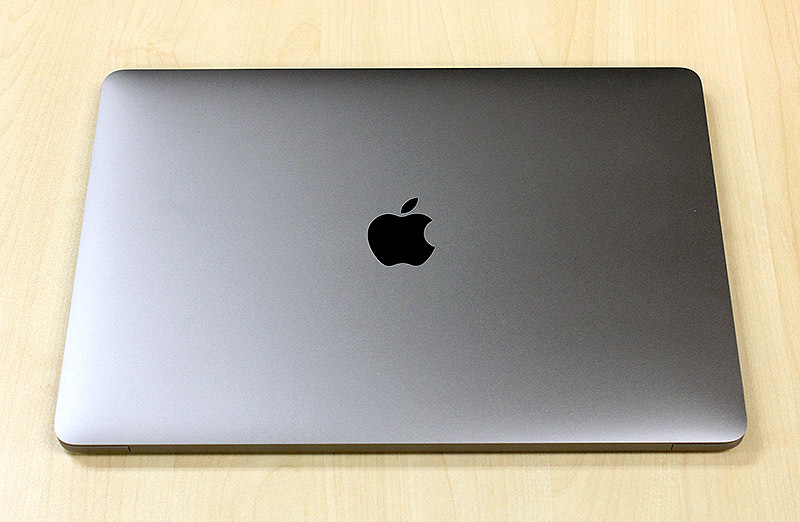 The new 13-inch MacBook Pro is 23% smaller, weighing 1.37kg and measuring just 14.9mm thick. In comparison, last year’s model was 1.6kg heavy and 18mm thick. 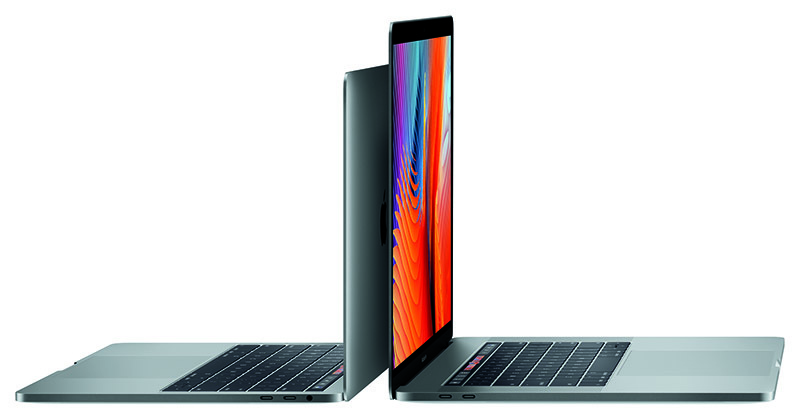 Perhaps more impressive is that the new 13-inch MacBook Pro weighs the same as the MacBook Air and is even thinner - the MacBook Air has a tapered design, but it is 17mm at its thickest point. However, in the real world, the effects are less obvious. The new MacBook Pro is certainly more compact than its predecessor, but not by as much as I had imagined. The weight savings isn’t that appreciable either. In my hands, the new MacBook Pro felt a tiny tad lighter. But once I put it into my laptop bag, I couldn’t feel the difference. This is because despite the smaller size, there wasn't enough weight reduction to make the differences obvious; in essence, the density of both notebooks are similar. Fortunately, Apple has made more improvements under the hood. The new MacBook Pro are equipped with Intel’s sixth generation Skylake processors and feature numerous other performance critical hardware improvements including faster memory and storage. You might wonder why Skylake processors and not Intel’s newer seventh generation Kaby Lake processors. Apple typically outfits its MacBook Pro notebooks with more powerful processors, and that’s not possible with the current line-up of Kaby Lake processors, which is very limited. In the case of the latest 13-inch MacBook Pro, it is powered by the Intel Core i5-6267U processor. Consider that most 13-inch Windows notebook would use Intel’s Core i7-6500U processor, the Core i5-6267U actually has better integrated graphics (Intel Iris Graphics 550 with 64MB eDRAM vs. Intel HD Graphics 520), a higher turbo clock rate (3.3 GHz vs. 3.1GHz), and also a higher TDP (28W vs. 15W). In short, it’s a more powerful processor, so don’t be fooled by its “lower” Core i5 designation. What’s worthy of special mention is the integrated Intel Iris Graphics 550 GPU. 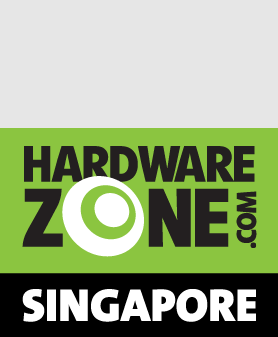 This is a markedly different animal to the Intel HD Graphics 520 integrated GPU that is found in so many other 13-inch notebooks. The Intel Iris Graphics 550 integrated GPU has double the number of execution units, 64MB of eDRAM, and runs at slightly higher clock speeds. In terms of pure compute performance, the Intel Iris Graphics 550 is more than twice as powerful as the Intel HD Graphics 520. Off the shelf, the new MacBook Pro notebooks will come with 8GB of 2133MHz LPDDR3 memory. If that’s not enough, users can order it with 16GB of memory, but that’s the maximum. 8GB is the bare minimum these days. And obviously, I would have prefer 16GB of memory to come as standard, since this is after all Apple’s premium notebook model. 16GB is plenty for my usage, but there’s a lot of chatter amongst developers about how 16GB is barely enough for their work, especially for those who have to work with virtual machines. I’m no developer, but having dabbled with virtualization software, I can attest to the amount of memory that virtual machines consume. Even so, this issue would probably bother users of the 15-inch MacBook Pro more since the 15-inch MacBook Pro (by virtue of having a much more powerful quad-core CPU) is more suited for developer-type workload. To quell the chatter on the limited memory size, Apple has come forward to explain the why it can't provision more than 16GB of RAM, but we doubt that solves the concerns of those who truly need more RAM. Finally, the new MacBook Pro notebooks also have vastly improved storage systems. The new PCIe SSDs in the MacBook Pro notebooks can now achieve sequential read and write speeds of over 3GB/s and 2GB/s respectively. The biggest new feature has got to be the Touch Bar and Touch ID. 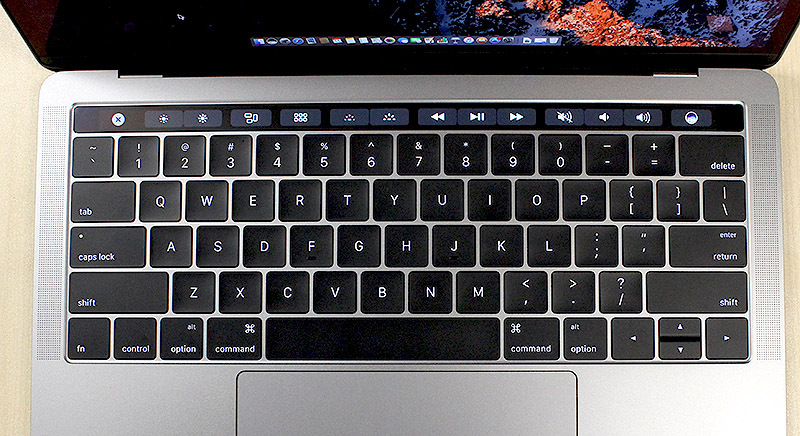 The Touch Bar is a strip of touchscreen display that sits above the keyboard where the function keys used to be. It’s a Retina display too, with a resolution of 2,170 x 60 pixels, so images look really nice and sharp. But more importantly, it is designed to be contextual so what you see on it changes depending on the app you are using. The idea is to give users the most useful shortcut keys and functions at any one time. The traditional function keys that Mac users are so familiar with, like media playback shortcuts, screen brightness, and volume are still there. But they automatically contract to the right of the Touch Bar whenever an app is launched. And if you need the function keys, you can still invoke them by holding on to the “fn” key on the keyboard. What the Touch Bar shows is dependent on the app. For example, in Safari it might show a preview of your opened tabs or shortcuts to your favorite sites. In Pages, the Touch Bar can show you formatting shortcuts and options. And in Photos, you can show you a preview of your photos, which you can scroll through; and it can also display the various editing functions like crop and filters. 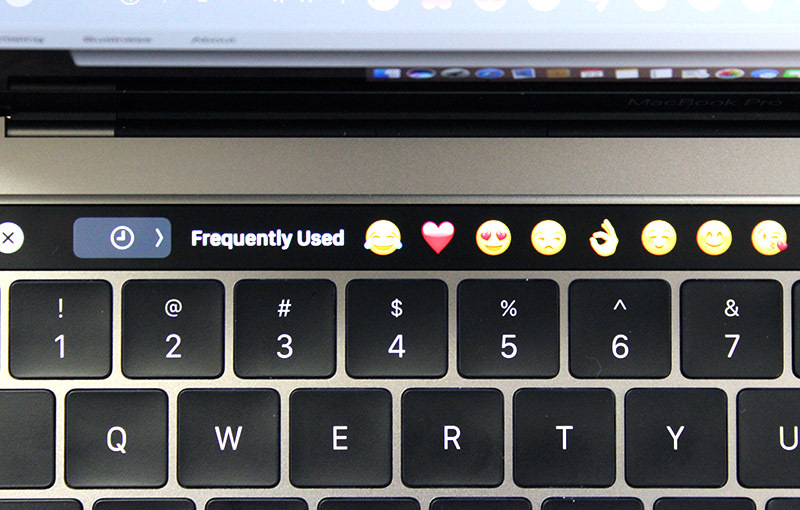 And as you type, the Touch Bar shows you predictive text options and also gives you quick access to emojis. For now, I’m not entirely sold on the Touch Bar, because I type by touch and rarely look down on my keyboard. Because the Touch Bar is not tactile and it changes depending on the app, it will take quite a bit of getting used to before I can use it comfortably without having to constantly look down at it. In addition, I don’t find it to be useful all of the times. It’s quite fun to be able to scrub through videos when viewing YouTube, and it’s nifty to be able to quickly select editing functions on Photos. But in Pages, selecting text shows you common formatting shortcuts like bold, italic and underline, which I suspect a lot of users already know by heart. Right now, I think there’s a lot of hit and miss with the Touch Bar, and I don’t expect everyone to find it useful. That said, I think there’s the potential for it to become a something more, or a game-changer even. 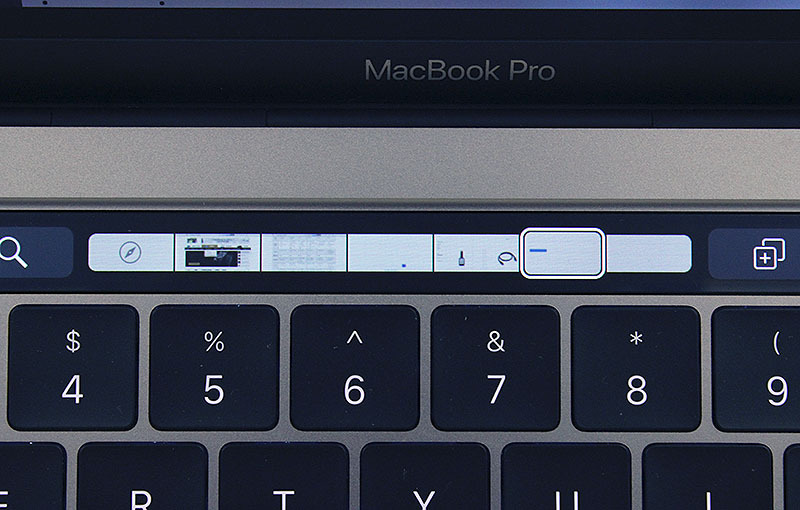 To the right of the Touch Bar is a small button with a Touch ID sensor. This button doubles up as the power button. But you will find that you won’t have to use it often because the new MacBook Pro automatically powers up whenever you lift its display. That said, you will still need the button for the times when the MacBook Pro becomes unresponsive and requires a restart. 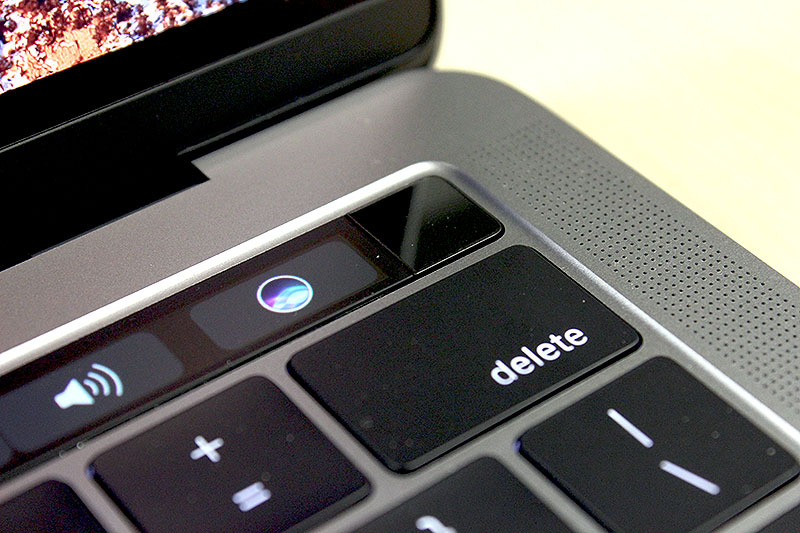 Unlike Touch Bar, the Touch ID sensor is useful right from the start. Setting it up is the same as setting up Touch ID on your iPhone, and once it is setup, it can be used in place of your password. You will still need to log in with your password when your MacBook Pro starts up from a cold boot, but thereafter, Touch ID takes over and you can use it to login to your MacBook or for the times when it requires user authentication, such as when downloading and purchasing apps from the App Store or using Apple Pay for online shopping. Up to five fingerprints can be saved to work with Touch ID. It is also very fast and recognizes your fingerprint almost as quick as the latest iPhones do.